When you consider our six seat depths, multiple tree widths, flap lengths and forwardness, eight seat sizes, and our wide variety of leather choices… well, the level of our customization is practically boundless. We are confident that we can solve just about any fitting issue, even one that you may have previously struggled with. 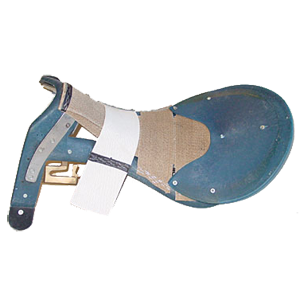 Since Stübben was founded in 1894, we have crafted saddles for every breed, size, and shape of horse, from high withered thoroughbreds to draft horses. Our specialty, and one of the reasons many people turn to Stübben Custom, is hard to fit horses. 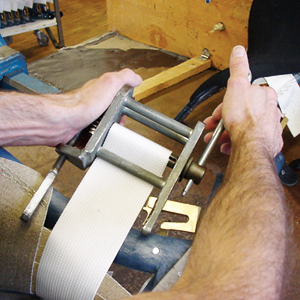 If you are interested in becoming a Stübben saddle fitter, click here. While there are numerous options to choose from, you won’t have to make these choices on your own. With Stübben Custom, a Stübben Certified Master Saddle Fitter will visit with you and take specific measurements that will ensure a proper fit for you and your horse. No more “narrow, medium, or wide,” or any other types of approximate measurements. The measurements used to craft your Stübben Custom saddle will be unique to you. Throughout the Stübben Custom experience, you will have the benefit of constant support from our Customer Service Center. We can keep you updated from your first contact with us through follow up after you have received your saddle. We are committed to making this an enjoyable experience for you. We have always emphasized research, especially when it comes to tree design, and we remain committed to using the newest and best technology and materials. The result is a saddle tree that is like no other. The Stübben tree is a unique combination of very specific materials. We start with the outer part of the frame, which is made of a composite material that is both extremely strong and durable, yet remains flexible. Unlike wood (which many other manufacturers use for their trees), which is affected by moisture and may start to warp over time, our composite material is impervious to water, humidity or temperature changes, and does not lose any of its properties over time. Now, the truly unique part of the Stübben Spring Tree – our tree gets its “spring” from tensioning materials that counterbalance each other. The steel bars along the bottom of the tree, which would lay flat without tensioning, are prevented from doing so by the webbing at the top of the tree. Inversely, the webbing cannot flex too much because of the resistance of the steel bars below. These two components, working flawlessly together, create the perfect shock absorbing system. 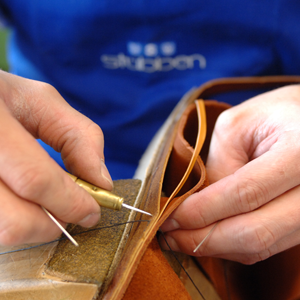 Stübben saddles are individually crafted… many of the steps are still done by hand. From the selection of the hide and the construction of the tree to the cutting, sewing, and final assembly, each Stübben saddle requires over 100 unique and individual steps before its completion.